Do you need a Puppy Playpen for your Bundle of Joy - Pros & Cons! Best Seller – find out more on Amazon! Yes, you need a puppy playpen if you want to leave your dog unsupervised for a good amount of time. Hang on tight! Because there is more to it, and let me try to address them briefly in this article. 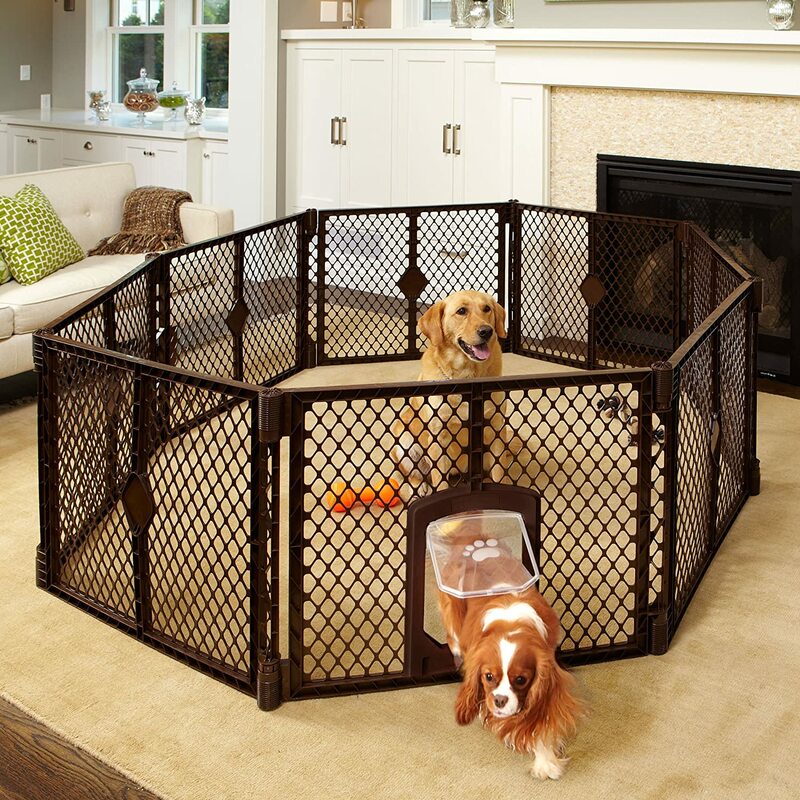 Puppy playpen is a safe play area for your puppy. Even if you are at home, you might be busy with your daily chores. And, during that time you want to ensure that your puppy is safe, and he/she is not playing pranks and destroying something. We love puppies. They are adorable, funny and they can for sure damage things if left unsupervised. So, playpen is definitely a great tool. So, why do you need a puppy playpen? Provides a safe play area for your puppy. It is a great tool for house/ potty training your puppy. It keeps your house tidy and clean. Playpen can help form good habits and discipline. If you have more than one dog, it will help your puppy to get used to environment better. You can also combine a playpen and a crate to create a play space plus a resting area for you dog. This is a great option, which I used for my puppy. And, when your dog grows up that space will still be useful if you plan ahead and buy a decent sized playpen and dog crate. Here is a great article, which will explain how you can effectively use playpen and a crate.